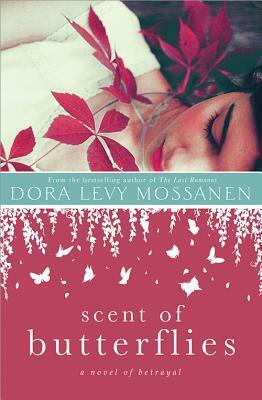 Scent of Butterflies by Dora Levy Mossanen is a novel of vengeance as an Iranian Jewish woman, Soraya, convinces her husband, Aziz, to let her go to America on an assignment. As with many revenge tales, Soraya spends a great deal of time building her trap, complete with sweet nectar, only to find herself ensnared in her own web. Readers will be holding their breath as she weaves her garden of plants in America, making it lush and beautiful to attract her prey. She spends most of her days cultivating the land around her and taking photographs of American and Iranian men to make her husband jealous. Growing up in Iran and enjoying certain freedoms, Soraya is taught to become independent, but once those freedoms are taken away following the revolution, she has little choice but to obey the strict tenants of her religion. Her Baba has called her an artist since she was a little girl, but like many things in her life, there is an undercurrent of deception. As she flees Iran and her pain, she tries on new identities before settling back into her own. Readers will be at once baffled by her actions and heartbroken for her, but will they understand that this passionate woman has lost her entire world when her husband betrays her with another woman? Sympathy from the reader can be a tough balance in a story of revenge, but Mossanen has created a character bucking the repression of her culture and the tumultuous nature of a country with conflicting identities. Scent of Butterflies by Dora Levy Mossanen is complex and a lush novel for the senses that will have readers debating how far a woman scorned would go to right a betrayal and how far she would go to retain her freedom. Very well written and absorbing, readers will be attracted by the decadent honey in Soraya’s web. Dora Levy Mossanen was born in Israel and moved to Iran when she was nine. At the onset of the Islamic revolution, she and her family moved to the United States. She has a bachelor’s degree in English Literature from the University of California-Los Angeles and a master’s in Professional Writing from the University of Southern California. 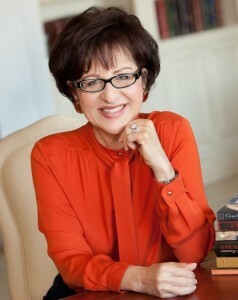 Dora is the bestselling author of the acclaimed novels Harem, Courtesan, and The Last Romanov. Her fourth and most provocative book, Scent of Butterflies, was released January 7, 2014. She is a frequent contributor to numerous media outlets including the Huffington Post and the Jewish Journal. She has been featured on KCRW, The Politics of Culture, Voice of Russia, Radio Iran and numerous other radio and television programs. She is the recipient of the prestigious San Diego Editors’ choice award and was accepted as contributor to the Bread Loaf Writers’ Conference. Dora Levy Mossanen’s novels have been translated into numerous languages world-wide. Can true love be found at Christmas? What if Emily never went to the nineteenth century? What if William went to the twenty-first century instead? A twist on the original Centuries of Love Trilogy sees William waking up at Christmas in 2012. Confused by this new modern era and why he has been brought here, he is soon relieved to find his wife, Emily, but is shocked when she doesn’t know who he is. On discovering the nineteenth century tradition of kissing your true love by midnight on Twelfth Night or lose them forever, he realises it’s a race against time to make Emily fall in love with him all over again. Does true love really prevail? All Lilly Price has ever known is living in the shadow of her widely successful foster family. But when a twist of fate deals Lilly the hand of Harrison Crawford, the most popular guy in Bloomfield, NM, everything flips upside down. Now she must choose between the unavailable love of her life — or the guy who promises to be available forever. What’s to be done with an angel who breaks the rules? Introduce him to a woman known for her propriety, of course. Jane Austen hasn’t written a creative word in months. She secretly fears she may not have it in her to write a single word more about love. Yet when the mysterious Michael Grace appears on her doorstep, she’s cast into a world of emotion beyond even her wildest imaginings. Though she fears he might be a spy, she enlists his help to find her friend’s fiancé, missing in the Peninsular War. But Michael isn’t what he seems, and the passion and doubts he ignites turn everything Jane trusts upside down. What Jane doesn’t know is that her mystery man is an angel. One who’s never failed to get what he goes after. A heart-wrenching historical novel spanning seventy years, two continents, and a an imagined story that holds the power to create a safe future for a young girl. This page-turning family saga soars to a breathtaking ending that redefines the meaning of love. When Natalie and Anna, sisters and life-long rivals, hide an abandoned child from the Nazis, their struggle re-opens a star-crossed love triangle, threatening their safety and testing the bonds of their loyalty. Hungary’s fragile alliance with Germany insured that Natalie, a best selling children’s book author, and her family would be safe as World War Two raged through Europe. The Holocaust that has only been whispered about until now becomes a terrible reality for every Jewish family or those who hide Jews. Beautiful but troubled Anna, a poet and university professor is losing her tenuous hold on reality, re-igniting a dangerous sibling rivalry that began in childhood. The streets of Budapest echo with the pounding boots of Nazi soldiers. Danger creeps to the doorstep where the sisters’ disintegrating relationship threatens to expose the child they are trying to protect. In one night, Anna’s rash behavior destroys their carefully made plans of escape, and Natalie is presented with a desperate choice. Interwoven with Natalie and Anna’s story, is Mila’s. The abandoned child whose future Natalie lovingly imagines in a story about an old woman named Mrs. Tuesday. Mrs. Tuesday’s Departure is an inspirational historical novel spanning two generations and exploring the unbreakable bonds of sisters. 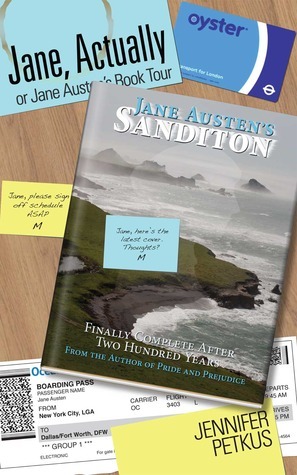 With the invention of the AfterNet, death isn’t quite the end to a literary career it once was, and Jane Austen, the grande dame of English literature, is poised for a comeback with the publication of Sanditon, the book she was writing upon her death in 1817. But how does a disembodied author sign autographs and appear on talk shows? With the aid of Mary Crawford, a struggling acting student who plays the role of the Regency author who wrote Pride and Prejudice and Emma and Sense and Sensibility. But Austen discovers her second chance at a literary career also gives her a second chance at happiness and possibly even … love. Once heiress to a large estate, Emma Watson, now penniless, is thrown back into the arms of the family she has not seen for fourteen years when Mrs Turner, her widowed guardian, accepts an offer of marriage from Captain O’Brien. On the eve of the first assembly of the season, Emma returns unexpectedly to Stanton, her family home. Interest in the newcomer is heightened when Emma becomes the object of attention at the ball; admired by Lord Osborne, Tom Musgrave and Mr Howard, Emma’s debut at the local assembly seems nothing less than a triumph. But once her potential suitors are acquainted with the facts, will her lack of fortune make a difference? 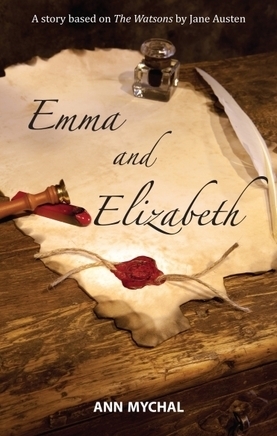 Emma receives a mixed welcome at home, but finds a true friend in her eldest sister, Elizabeth. However, when duty to the family is tested to its limit, one sister is obliged to sacrifice her own happiness to ensure the happiness of the other. 7. 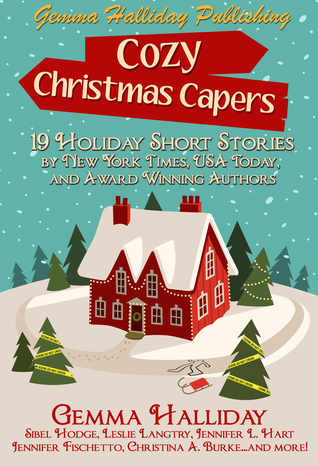 Cozy Christmas Capers: Holiday Short Story Collection by Gemma Halliday, Janel Gradowski, etc. 19 holiday short stories by 19 New York Times, USA Today and award winning authors! Enjoy these tales of mystery, romance, and laughter amid the backdrop of pine tress, gingerbread men, and Santas galore! The perfect short bites for cozying up by the fire with a cup of cocoa…or waiting in line at gift wrapping! 8. 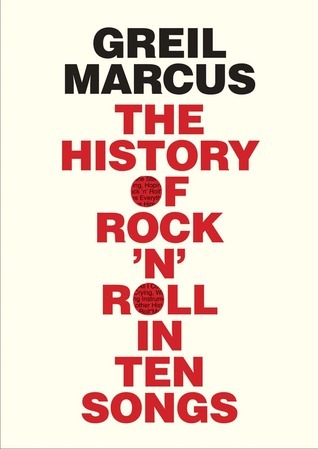 The History of Rock ‘n’ Roll in Ten Songs by Greil Marcus, narrated by Henry Rollins from Audible. 9. Scent of Butterflies by Dora Levy Mossanen from Sourcebooks and TLC Book Tours. Soraya turns her back on Iran, fleeing to America to plot her intricate revenge. The Shah has fallen, her country is in turmoil, her marriage has crumbled, and she is unraveling. The cruel and intimate blow her husband has dealt her awakens an obsessive streak that explodes in the heated world of Los Angeles. The fate of Anastasia Romanov is one of life’s great mysteries, and today would have been her 111th birthday. She was the last of four daughters born to Tsar Nikolas Romanov and his wife Alexandra. Following the tragic execution of the Russian Royal family in 1918, officials were never able to recover the remains of Anastasia. There have been numerous tales of her supposed escape from Russia, fueling speculation that a daughter of Russia’s last sovereign ruler survived the revolution that destroyed her immediate family. Doesn’t this sound like an excellent read? You can win a copy by commenting on this post about what fascinates you about Anastasia Romanov or if you’ve read other books about her that you’d recommend to me. Deadline to enter is June 22, 2012, at 11:59PM EST for U.S. and Canadian residents only.